Highland Council Chief Executive Donna Manson speaks of the proposals. In yesterday’s budget announcements, the axe of savings and efficiencies falls largely on education – losing £5.9m – and leisure, with HighLife Highland expected to find £1.5m. Already, the council’s Conservative opposition group say they will table an amendment to the Administration’s proposals to make multi-million pound savings in special needs education. Group leader Andrew Jarvie said in Highland the number of pupils with special needs was around 40%, and in some areas more than 60%, against a Scottish average of 30%. He blamed an ‘anti-training ethos’ in the council for creating the situation, and said the Conservatives have identified £500,000 to put into special needs training for teachers. He said: “For a good number of years the additional support needs module of teacher training in Scotland has only been optional. “We have teachers in schools who have never received additional support needs training so we’ve identified half a million pounds this year to put into additional teacher training to support children with lower needs who don’t really need a pupil support assistant. “We want to ensure they’re not being punished by teachers not being trained in how to deal with those needs. Highland Council’s Opposition SNP group said they were ‘uneasy’ about the Administration’s multi-million pound proposals for savings in education. Meanwhile, the council’s arm’s length sports, culture and arts organisation HighLife Highland (HLH) is facing a cut in real terms of £1.5m, to be found in efficiencies and income generation. With more than £900,000 of this coming in staff wages and pensions, HLH says it cannot rule out job losses and cuts to the service. 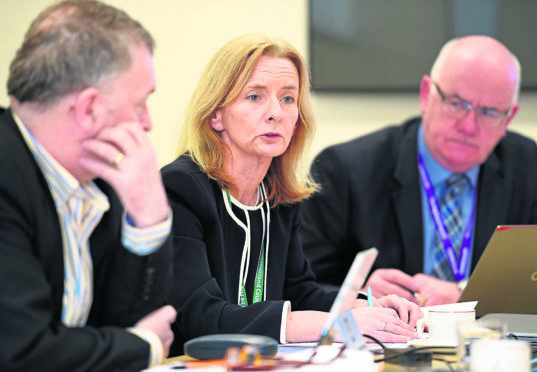 HLH chief executive Ian Murray said: “It’s too early to say where that kind of large cut can fall.